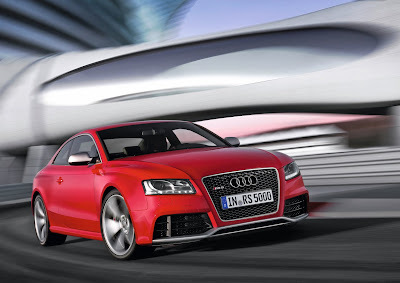 The Audi RS5's world debut at the Geneva Motor Show is now just days away. In anticipation for the event, we have a ton of new, hi-res photos of Audi's latest RennSport bahn-burner for your viewing pleasure. Be sure to check back next week as we will have plenty of photos and full coverage of the 2010 Geneva Motor Show, including photos of the RS5 "in the flesh."